5.1 Question: How many appliances can the M267 handle? 5.1.1 Question: When comparing the Zoeller M264 vs M267, do they both grind? 5.1.2 Question: Preference of stop valve? 5.1.3 Question: Any ideas on how long either pump can run? 5.1.4 Question: Where are the Zoeller pumps made? 5.1.5 Question: Does either model come with a battery? Both of these products are sewage pumps made of cast iron. The cast iron means that they are heavy and durable, longer lasting than a lot of their competitors. Zoeller is known for listening to their customer’s complaints and doing their best to fix them. A great example of this is that they have made all the bolts, screws, and handles out of stainless steel ensuring a lasting product and no rusting! Zoeller has a chart showing the Tank Diameter and comparing that to the number of Gallons pumped. It is important for you to understand what your household needs are so that you can decide how to best setup your pump so that it performs at maximum ability. With a 4/10 HorsePower and 115 or 230 V model, you have a few options with this sewage pump. A couple additional specs are 60 Hz, 1725 RPM, and 4.7 to 9.4 Amps. A great thing about this product is that it comes lubricated and hermetically sealed, so you should never have to worry about oil as long as you own it! It also has a float switch, so no need to try to find one that fits on your own! Note that the Zoeller M264 has a 9.4 amp draw and that the impeller is not made of metal, but plastic. The cord on this model is 15 feet, so you have lots of room to work with! Keep in mind that if you are planning on using this pump as a sump pump, you definitely can, but it will be a lot more power than you need. Sewage pumps like both the Zoeller M264 and the Zoeller M267 are created to grind solid waste AND pump water. Whereas a more simple pump, aka a sump pump, will not only be cheaper but is also designed to JUST pump water. Similar to a sump pump, you can have this sewage pump move water from your septic tank elsewhere, like this customer mentioned in his review. The HorsePower of the M267 is ½ with 120 Volts. With a cord length of 10 feet auto or 15 feet nonauto standard, you shouldn’t have much of a problem getting the pump into place. Weighing in at 35.8 pounds, it is definitely on the heavier side, but you will want that when it comes to pumping sewage. Surely you want a strong, sturdy, and durable machine doing all that dirty work! Drill a hole in the discharge pipe! This customer also suggests purchasing a clear check valve so you can visually see that fluids are moving properly. 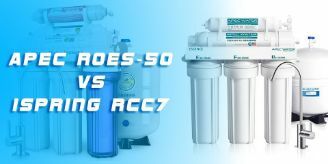 As an automatic, completely submersible sewage pump is best for average to above average removal. Question: How many appliances can the M267 handle? Answer: Many prior purchasers have mentioned that this model can pump sewage and water for their entire house, including multiple sinks, a toilet, shower, and washer (although admittedly not always at the same time)! Keep in mind that you need a sump pump with enough space to hold all of the water and waste until your new sewage pump can push it through. Question: When comparing the Zoeller M264 vs M267, do they both grind? Answer: Yes, both models have grinders on them. The M264 will grind up to 50mm and the M267 will grind up to 2 inches. Question: Preference of stop valve? Answer: Zoeller makes an inline gate valve that is suggested by not only Zoeller but on Amazon as well. Although any inline gate valve could work just fine. Question: Any ideas on how long either pump can run? Answer: Both pumps have been known to run for longer than 10 hours at a time. Question: Where are the Zoeller pumps made? Answer: Made in the United States, Louisville Kentucky to be exact! Question: Does either model come with a battery? Answer: No, but neither needs one. Looking for a backup battery? There are plenty on the market that you can simply purchase and easily install yourself. Although the cost is slightly higher than the Zoeller M264, the M267 is definitely a more reliable sewage pump, particularly when it comes to grinding and moving sewage. When compared to similar competitors, like Little Giant’s sewage pump, the Zoeller products come in at a lower cost. These products are also really quiet!! Many people have installed the pumps in their utility room and reported not being able to hear it in an adjoining room! All Zoeller products are the cream of the crop, particularly because they aren’t cheap plastic pumps! Since they are heavy, cast iron, and stainless steel, these pumps are designed for years of hard work! If you are considering installing the sewage pump yourself, definitely break out the instructions and have at it! Many people decide to save a little money and do it themselves and rarely has there been a problem!